The first Get Together programme took place in 2011 – 15, involving and integrating isolated and excluded groups into community life in Bedminster and Redcliffe; challenging preconceptions, promoting understanding and communication, developing new positive relationships, improving health and well-being. The programme included giant lantern-lit street processions in Bedminster and Redcliffe, intergenerational projects in schools, the 1963 show, the Stories community play in Redcliffe, an intercultural arts festival, a football film project with Somali boys in Redcliffe, and a whole host of other shows and events. An evaluation report of the 11-15 Get Together programme is now available to download with other acta publications. Both my children absolutely love attending the groups and in particular, the way the leaders draw on the children’s ideas and develop the script. The way they are involved in all stages of the production’s development is exceptionally good. In spite of feeling vulnerable at times, I was still able to do it, to see it through. It’s been incredible how good it’s been for my mental health. I’ve been in drama groups before, going along for weeks, not got much to do, the director so completely in control. I haven’t really enjoyed it. This has been so different. There’s no egos battling. Everyone’s equal, you don’t audition, there’s no lead characters. I liked the fact that the play was about change in the local area. You live somewhere and you notice things changing… doing the play being able to comment on that, putting all that in context, it’s a really empowering experience. I can’t think of anywhere else you could do that. When I started acta, I felt very isolated. The group gave me the opportunity to be myself and do something I was really passionate about. I met like-minded people and the group really supported and encouraged one another; there was never any competitiveness It has been extremely fun, I have learnt new skills and I don’t think I have ever laughed so much in my life. The group gave me the confidence to go and pursue other things … It was always the best hour and a half of my week! A second Get Together programme began at actacentre in September 15, once again supported by BIG Lottery, and this time focused on weekly participatory arts workshops for all ages, bringing people together to reduce social isolation and improve confidence, self-esteem and well-being. One of the year 3 children performing in The Magic Box of Stories today commented: ” Can you believe that a story can be turned into something magical like this?” The older performers in the Recycled Teenagers group continue to comment how positive the project is for their health. Audience today all loved the show, appreciating the opportunity to see children and older people on stage together. We the residents of Monica Wills House wish to thank you for the most enjoyable session we have had with Anita and Alan, which has been of great benefit, both mentally and physically to us, as also has our interaction with pupils of year 3 Holy Cross School, when we rehearsed for our performances of ‘The Magic Box of Stories’ to family and friends. Thank you Anita and Alan for all the joy we have had with the children from Compass Point and Holy Cross schools. If possible let us join in again sometime. You both worked so hard! 1963 – First rehearsal with choir and community theatre groups together went very well. The whole show is looking and sounding wonderful. 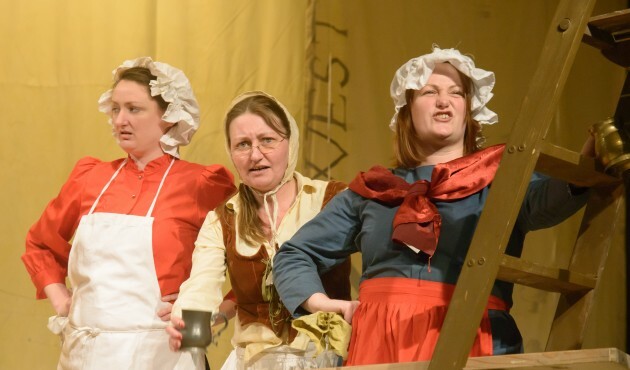 encourage everyone you know to come and see the show from 20th-22nd March – lots of songs, video clips from the time, and scenes based on true stories from the time; both funny and moving. The team are doing an amazing job on this one, not to be missed. It was fantastic, uplifting, in parts emotional, well directed, sung … will come back for more performances, and hope to get involved. So nice to see all ages involved and learn a little about the history of Bristol. Loved it. Very lively. Brought back memories. Really good performance, as usual. I think it is brilliant to see all the community together in a creative setting. Direction was excellent. Well put together. Loved the singing and acting together. Original, and loved all ages performing together in local community. Loved the singing and humour. I thought the Never Walk Alone song was amazing. The comedy, serious issues. All the sketches were very well planned and executed. The script was great! Good use of lighting and on screen images. Good value, enjoyable evening – will keep my eyes open for others. Fantastic first day of the Get Together Festival yesterday. We had a dedicated and creative team of ladies in Katie’s Making Time session – creating a magical ‘Story Tree’ for children, which will be unveiled on Saturday at the Festival Fun Day, and then there are lots of plans for the future – developing a show and tour to local schools, more story-telling. Looking forward to seeing what happens. Then in the evening a moving and compelling performance of Listen to our Story, our partnership project with Bristol Refugee Rights. There was a full house to see the show, and a fantastic audience reaction after the show. Many audience members commented on how much they learned about the challenges facing asylum seekers in the UK, and how the show should be performed more often. We are very much hoping we will be able to do this too. Have I missed the Bedminster get together ? If it is on on Saturday 13 July 2013 could someone tell me where and at what time? We have one last event for the Get Together Festival this week: family fun day, 11 – 2, tomorrow, Saturday 13th. It will be at acta centre and across the adjoining park. Hope to see you there?! When we were young and hopeful, as we set upon our quest. I teach drama in an SEN Learning Centre in Knowle and have a class that will be working towards a Btec first in the sixth form dept. This class is a small group of boys ages 15/16. If there is anything that you think my boys could get involved with at ACTA we would love to hear about it. Hello Amanda, thanks for getting in touch. I’m sure we can think of some interesting ways for your boys to get involved in acta. Would any of them be interested in coming along to see a show here next week / week after? By way of an introduction to where we are and what we do?! Would be lovely if some of them could come along to see TheNow? Look forward to meeting some of them soon.